Bainbridge Island is a beautiful island, only five miles wide and ten miles long. 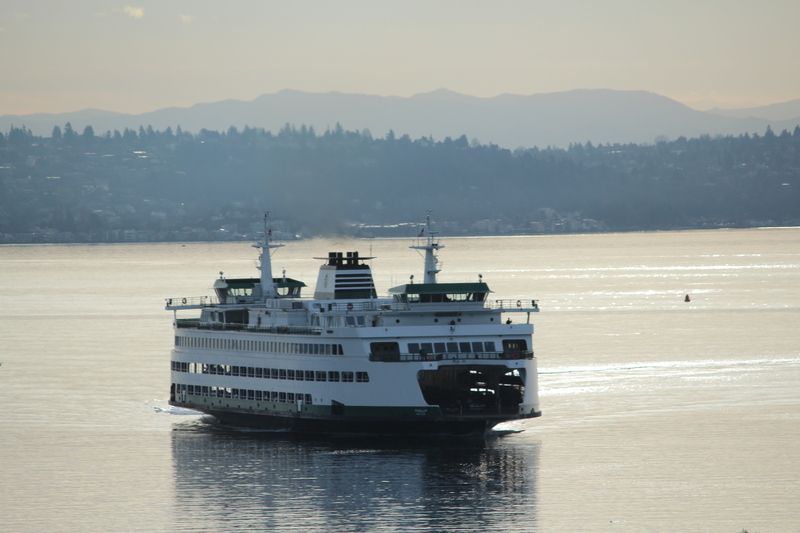 It’s just a short 35 minute ferry ride across Puget Sound from Seattle. This itinerary would make a great day trip from Seattle! While there are many things to do on Bainbridge Island, this post focuses on 3 great places to enjoy a drink. First up, the Bainbridge Organic Distillers! Bainbridge Organic Distillers is Washington State’s first distillery producing USDA organic gin, vodka and whiskey. They are also the only distillery producing spirits from scratch and on site. They make small batches, and tend to sell out quite quickly. They have 4 products: Bainbridge Legacy Organic Vodka, Bainbridge Heritage Organic Doug Fir Gin, Bainbridge Battle Point Organic Wheat Whiskey (I’m drinking this right now! ), and finally Bainbridge Organic Vanilla Whiskey. Check out their website to see the numerous awards that they’ve won, even after only being founded in 2009. You can find their facility at a business park called Coppertop Park. “Don’t miss this” tip: Seasonally, the distillery produces maple syrup that has been aged in the barrels of their Battle Point Organic Wheat Whiskey! More details are below. Next up, Bainbridge Island Brewing Company. Literally next door to the distillery you can find this great brewery. They have a flagship line of 5 beers: Kommuter Kolsh (ABV 5.0%, IBU 20), Eagle Harbor IPA (ABV 6.0%, IBU 60), Bainbridge Pale Ale (ABV 5.4%, IBU 40), Arrow Point Amber (ABV 5.2%, IBU 25), and Battle Point Stout (ABV 6.6%, IBU 45). In addition, there are plenty of seasonal options to try as well. There is no kitchen at the brewery, but they encourage you to bring a picnic or take out food. There is also free wifi and plenty of tv’s to watch local sports. Check out their event calendar for trivia, live music and more. “Don’t miss this” tip: The brewery is dog friendly! Again, more details are below. Finally, Rolling Bay Winery. A little off the beaten path, this small boutique winery shouldn’t be missed. You will likely be greeted by winemaker Alphonse de Klerk when you arrive. You won’t be disappointed by the friendly people and delicious wine. For a small winery, they produce a surprising variety of wines, including: chardonnary, pinot gris, manitou red (blend), cabernet sauvignon, and syrah. “Don’t miss this” tip: Rolling Bay Winery is open every other weekend for tasting so you must check the website to confirm they are open before you visit. Further details are below.